It’s a big week for mental health and wellbeing. Monday, September 10 was World Suicide Prevention Day; and this Thursday, September 13 is R U OK day. You’ve probably heard of the latter, as it’s an annual event that helps “inspire and empower everyone to meaningfully connect with people around them and support anyone struggling with life”. That’s from the R U OK website, which describes its visions as “a world where we’re all connected and are protected from suicide.” That’s because suicide is a massive health problem in Australia and around the world, with an estimated 800,000+ people dying by suicide every year, according to the World Health Organisation. That’s equivalent to one person every 40 seconds. In fact, more people die around the world from suicide than from homicide, war and terrorism combined. In Australia, the suicide rate is more than twice the road toll. 2,866 people took their own life in 2016, with another 65,000 people attempting it. It is unknown exactly how many more were thinking about it. Suicide is a major problem in society. So why isn’t it talked about as often as other issues? One reason is that it’s an uncomfortable topic. That’s understandable because talk of suicide and suicidal thoughts for many people can be seen as forbidden, taboo or “not something we talk about”. They may even believe that talking about it can somehow lead to further harm. And yet, mental health issues are prevalent across many parts of the population in northern and western Melbourne. In this region, mental disorders are among the top five burdens of disease (i.e. the general cost and effect of health problems) – and it’s particularly high among younger adults. In truth, we can all help bring down the suicide rate by starting those conversations and making it ok to talk about ‘difficult’ things like suicide. People who are at risk of suicide are likely to feel like they are alone or in a hopeless situation. They may think there’s no way out, that they’re responsible or to blame for their situation, or that things will never change. They may also feel that no one understands or is prepared to listen to them. Showing them that family and friends are there to provide friendly, caring and non-judgemental support will demonstrate that talking about it is ok. Talking about it means they’re less likely to feel distressed about their situation – and that means they’re less likely to self-harm. Studies over the years support the idea that a network of people who care is a great way to help someone in distress. So how else can you help? Here are four ways you can help get the conversation started on R U OK day 2018. 1) Ask. Listen. Encourage action. Check in. The above steps are from the R U OK how to ask page. They’re pretty simple – the idea is that anyone can follow them to start the conversation. It’s simple stuff – and it starts with a conversation. While it’s one thing to ask someone if they’re ok, it’s important to consider the environment in which that conversation takes place. A location that’s safe and familiar always works best. Home (if that’s where the person feels most accepted and supported) is good, but so too are private and discreet locations like a park or a quiet street if you’re going for a walk. Letting them know you support them, and asking open-ended questions, can help with the communication. Starting the conversation and thinking about where to have it are important. However, just as vital is knowing how to respond when the person you’re speaking to opens up. Since they’re likely to talk about a topic that they find difficult (or may even have never discussed previously) it’s best to ensure you know how to listen. People at risk of suicide often aren’t looking for advice. Many times, they just want someone to talk to and who is compassionate. Let them know that you are there for them. The key to allowing someone to open up is to make it so that they know you’re prepared to listen. When starting the conversation and your instinct tells you that something’s not quite right, you might ask something like “How long has that been the case?” or say “I’m ready to listen if you want to talk”. When listening, pay close attention to what they’re saying, don’t interrupt, use body language to show that you’re being attentive and don’t immediately relate things back to yourself. Above all, think about how you respond and don’t judge. You cannot make a person feel suicidal by showing them that you care. And yet, some people are afraid to ask someone they know if they are OK because they fear they won’t know how to respond if the person says they’re not doing well. If you discuss suicide with someone you care about, then keep in mind that there’s no single way of going about it that works for everyone (if you’re worried, then consider talking to a professional counsellor by calling CAREinMIND on 1300 096 269). Just remember that allowing a person who is feeling suicidal to share their feelings often helps them feel better. 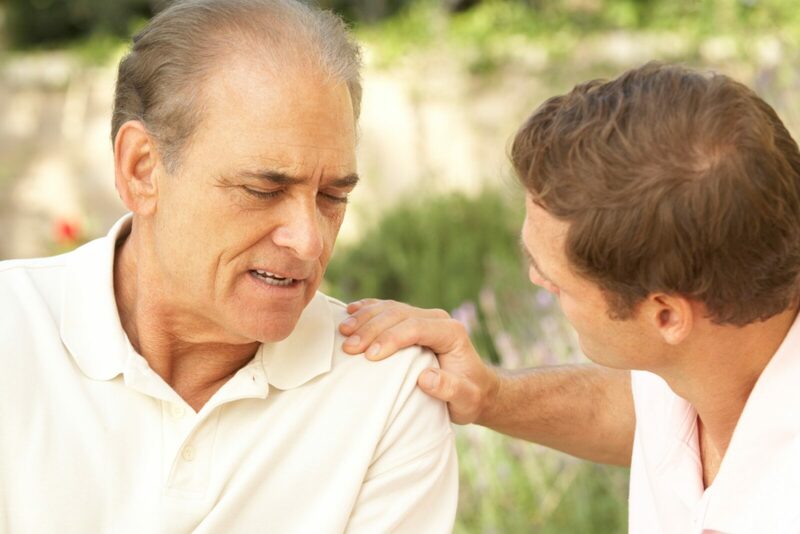 Having someone to talk to can make a big difference as they might feel like they “got something off their chest”. Need to talk to someone? Not sure how to get the conversation started? If you are concerned, you can talk to a professional counsellor on 1300 096 269. It’s free to people in north, western and central Melbourne and is available 24 hours a day, seven days a week. Australian Bureau of Statistics. (2016) Causes of Death, Australia, 2014. Catalogue No. 3303.0. Belconnen, ACT: Commonwealth of Australia.